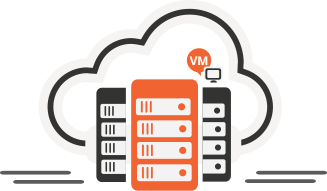 With a Bare-Metal Cloud server with Virpus, you are able to get a full single-tenant dedicated server however in the form of a virtual machine. 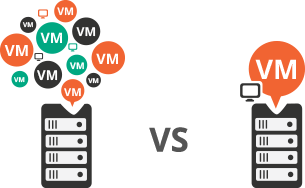 This allows you to get up and running faster and also provides lots of flexibility for scaling up and if need be, downgrading to a VPS. Get your first Month for only $20 on most servers! Use coupon code 20TRIAL Normal rates apply after the first month of our cloud hosting services. Promo does not apply for promotional pricing (plans with strikethrough prices). Need something a little more custom? CONTACT US! Our Bare-Metal Cloud services are instantly activated and are ready for use within 5 minutes once the provisioning process is completed. Ultimate Isolation with Scaling Power of the Cloud! One of the main take aways of using a pure dedicated server is that you cannot easily upgrade the resources, especially storage. With our Bare Metal Cloud service you are able to have the isolation of a dedicated server, yet change the physical aspects of the hardware without having to redo all your hard work. 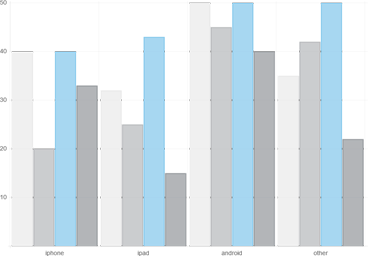 Our Bare Metal Cloud service is not restricted to just our Bare-Metal Cloud product lineup. You are able to upgrade/downgrade into our pure SSD Xen VPS line while keeping your data intact as well as keeping your IP addresses. The process just takes an hour or so to migrate the data, which is all done by our staff. Choose from a wide variety of popular operating systems including CentOS, Debian, Arch Linux, Ubuntu and more. Additionally you may reinstall your service at any time, as well as reboot, shutdown, boot, and check general statistics of your server.